This is the photo that lured me to Polignano a Mare. Tucked into those cliffs is a restaurant called Grotta Palazzese (you can just see it towards the right hand side), and as soon as I saw it I wanted to be there. It’s so easy to picture yourself here on a summer evening, cocktail in hand, being caressed by the evening sea breeze, isn’t it? Polignano is a little village perched on the cliff face about half-way down the coast of Puglia in southern Italy, and our home for four nights. It’s certainly a beautiful place, but looks can be deceiving, and with beauty comes danger: it’s very crowded, expensive and not particularly authentic. 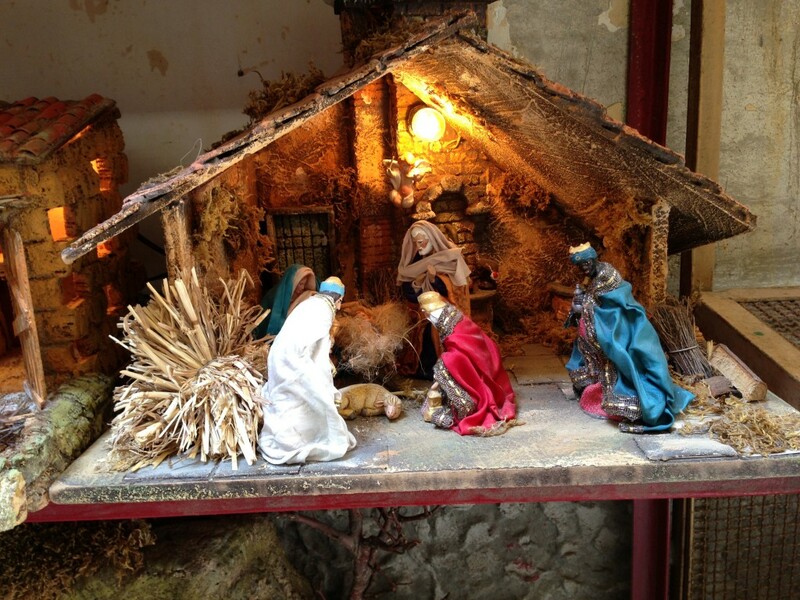 If you’d prefer to maintain the fantasy of Polignano, stop reading now because I’m about to show you her dark side …. Unfortunately for us our visit coincided with the Red Bull Cliff Diving contest, something we only discovered by chance, and the day before we arrived. Two of my least favourite things are crowds and sport, so I prepared for the worst. In most other small towns in southern Italy we have always been able to park just outside the historic centre and walk right in. If we’re staying overnight we’ve always been able to drive right in and park nearby with a parking pass from our host. 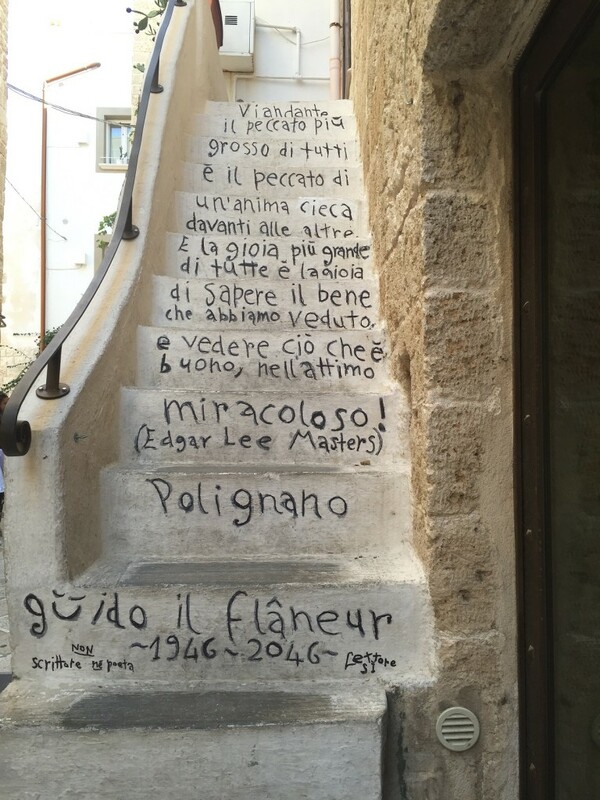 Not so in Polignano. Here we had instructions to telephone from the public carpark well outside the centre, and wait for someone to meet us. Our car was parked and our luggage and us deposited craftily and precariously into a sort of rickshaw which transported us by pedal power through the crowds to our B&B. It really wasn’t the best of welcomes. 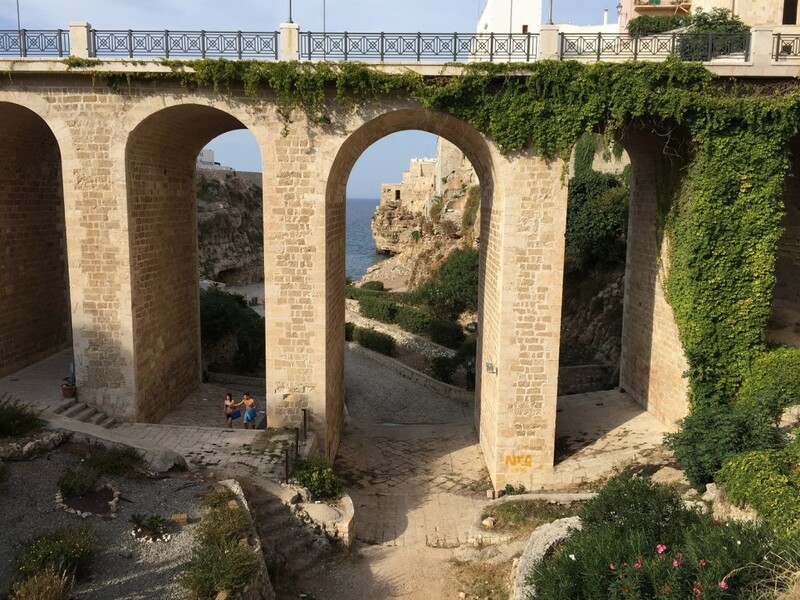 We used Polignano as a base town from which to venture out on day trips and so avoided the worst of the crowds (who were surprisingly well behaved – in Australia people would have been drunk and very much disorderly), but it was still very noisy until late at night. My journal from our first night says “The crowds are incredible, it’s like being at the Easter Show. I can’t wait to leave”. Restaurants and bars were full, and the evening passeggiata became more of a dodgem ride than a pleasant stroll. We were so happy when the cliff diving contest left town, but that very night a film crew set up their trucks right outside our B&B! 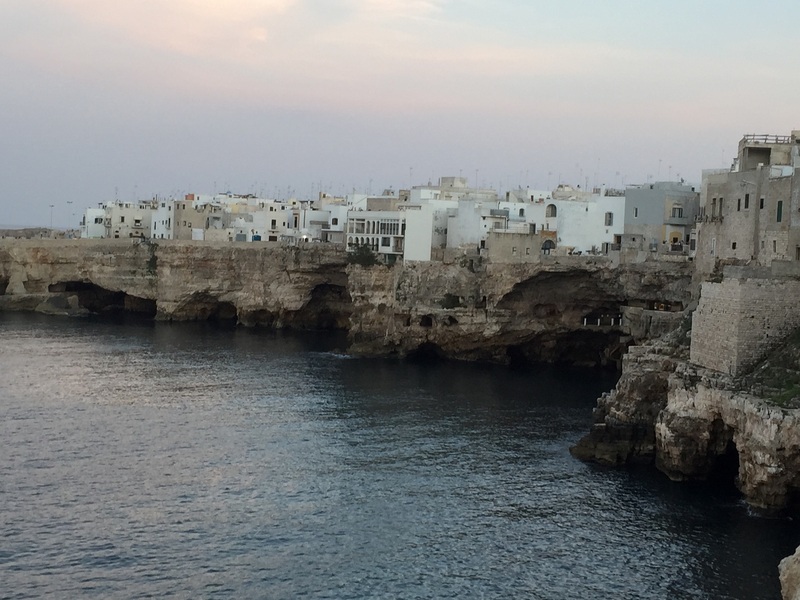 Talking to locals later on it seems as if Polignano is really never quiet – the price of beauty I guess. 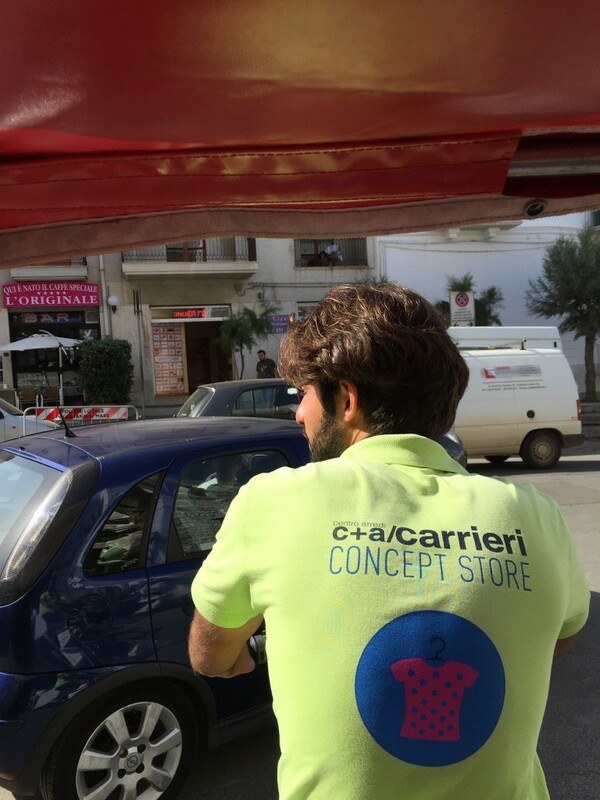 It’s quite obvious that shopkeepers and restauranteurs cater to the tourist crowd: by September they were jaded and unusually for me, it was nigh on impossible to get a conversation going in Italian. 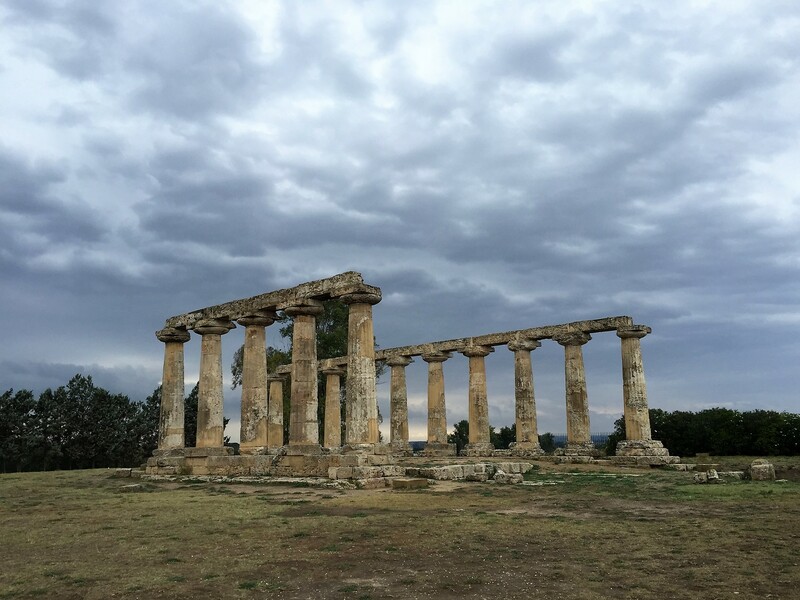 My Italian is passable, and when in Italy I like to speak Italian the whole time – so I find it infinitely annoying that everyone I came across insisted on speaking to me in English, even when I spoke back in Italian! 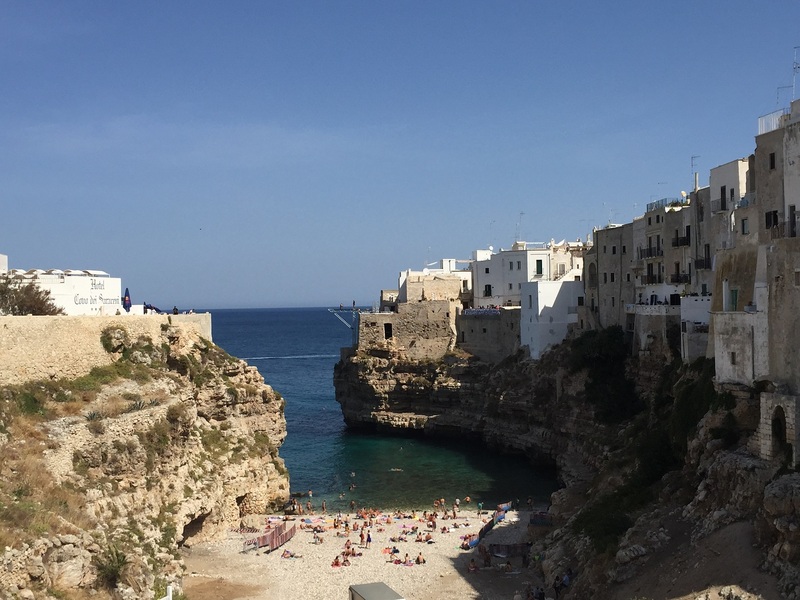 So in Polignano’s favour: it’s beautiful, the beaches are good, we found a fantastic restaurant, and it’s well located for day trips to Alberobello, the Grotte di Castellana, Ceglie Messapica, Martina Franca, Locorotondo and Cisternino. With black marks awarded for lack of Italianness, crowds, parking difficulties and grumpiness. Would I go to Polignano knowing what I know now? Yes, but only for a day trip and not when the Cliff Diving contest comes to town. 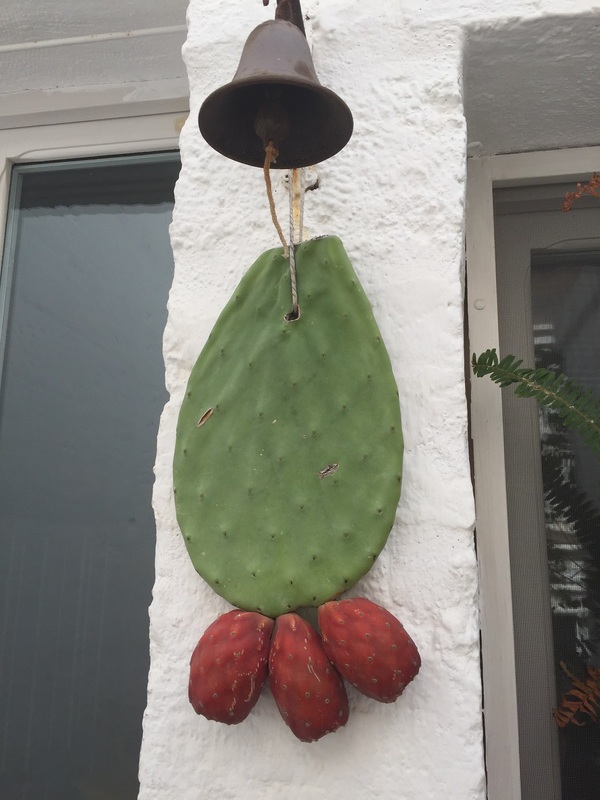 Would I use it as a base for a trip to Puglia? Not a chance. Have you been to Polignano? What was your experience? 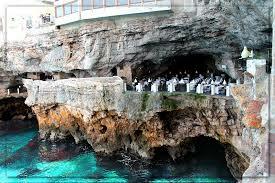 PS We didn’t dine at Grotta Palazzese in the end as the cost was astronomical and the reviews diabolical. Oh no! We are staying in Polignano for a few days this coming October, however I checked that the diving competition isn’t on during that time. Which it isn’t thank goodness! 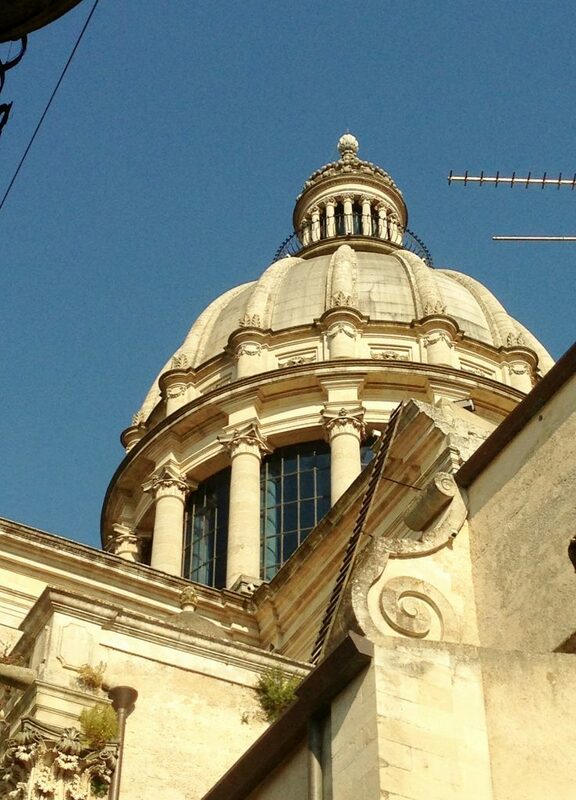 This few days marks the beginning of 10 more days touring around the rest of Puglia but not using Polignano as a base. 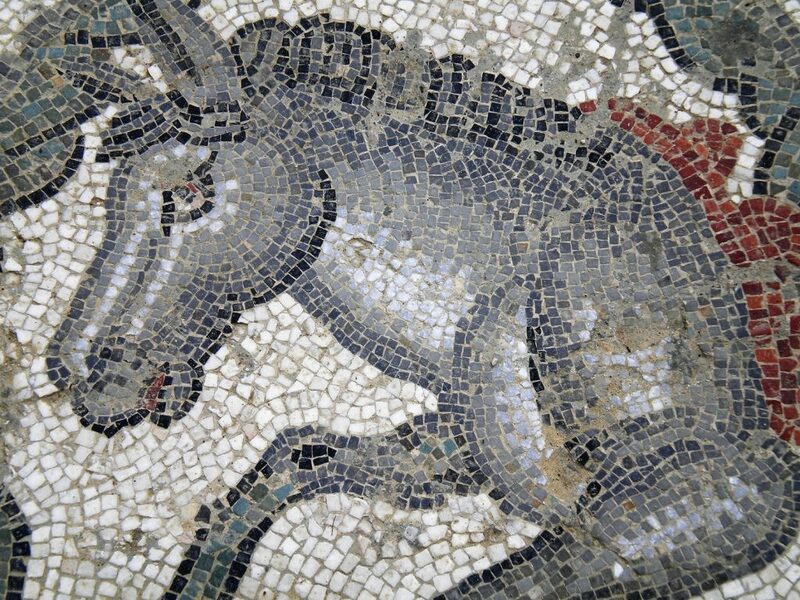 Really looking forward to Puglia though! 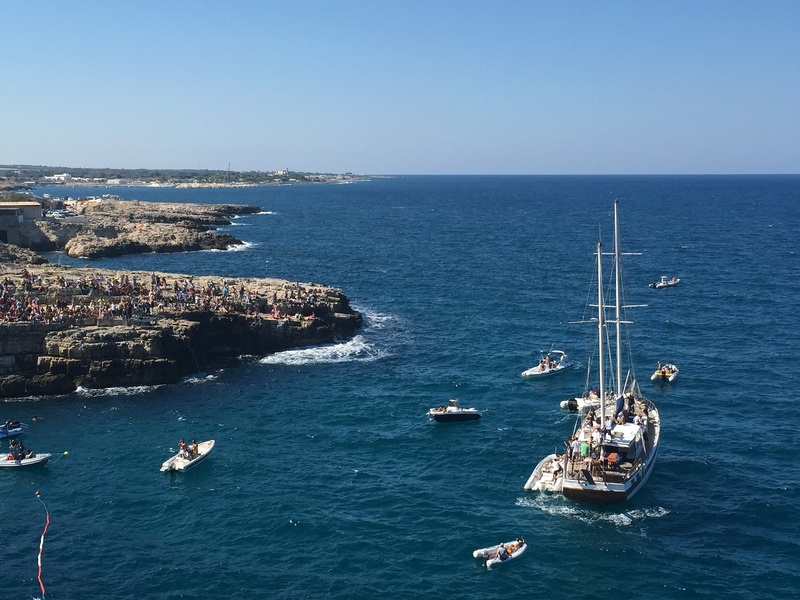 Hi Paula, I’m sure the cliff diving contest coloured by view of Polignano! It might be quieter in October. 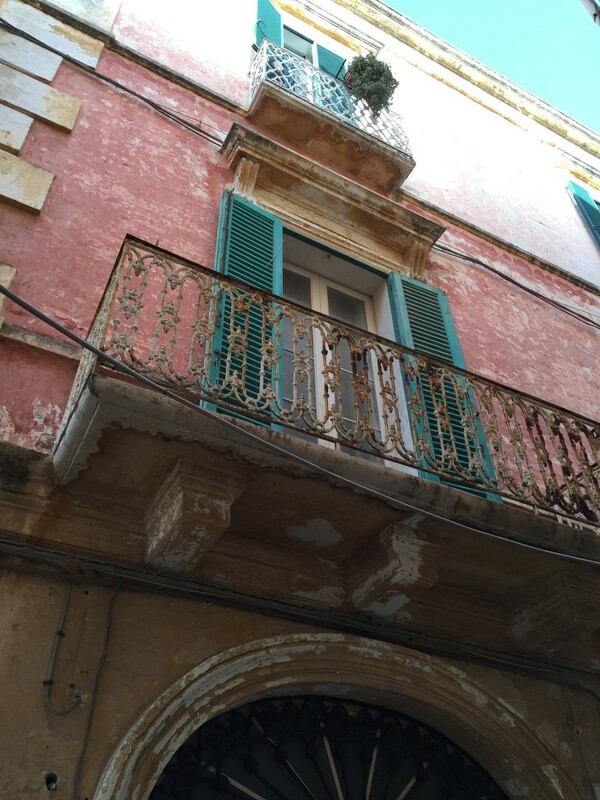 Puglia is lovely, I hope you enjoy it – I have many more Puglia posts to write! Trani was a lovely base, as was Lecce, and if I go again I’d also stay at Gallipoli. Buon viaggio! Sadly, there is often a dark side when it comes to parking in old towns not designed for cars. We had some hair-raising driving experiences navigating narrow lanes in Vieste on the Gargano Peninsula, and in other places. We smile now, but it was tense and trying! 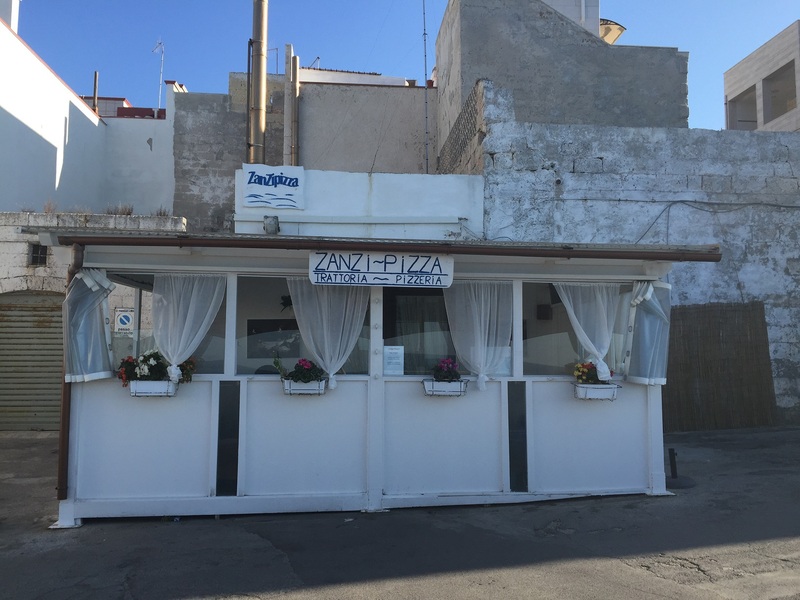 That Zani Pizza in Polignano a Mare, was a great location. We sat outside drinking red wine and got the same million dollar view as the cliff restaurant which was closed the Monday we passed through. Just as well anyway it sounds like! I preferred Martina Franca as an authentic town of real Italians going about their lives. 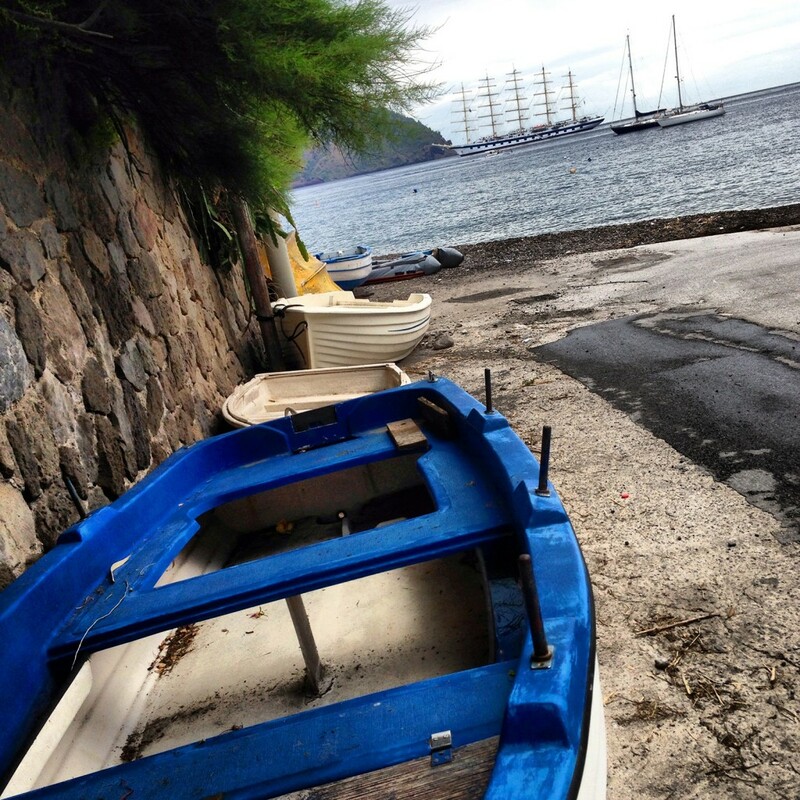 Great winding streets and small eateries, even off season. 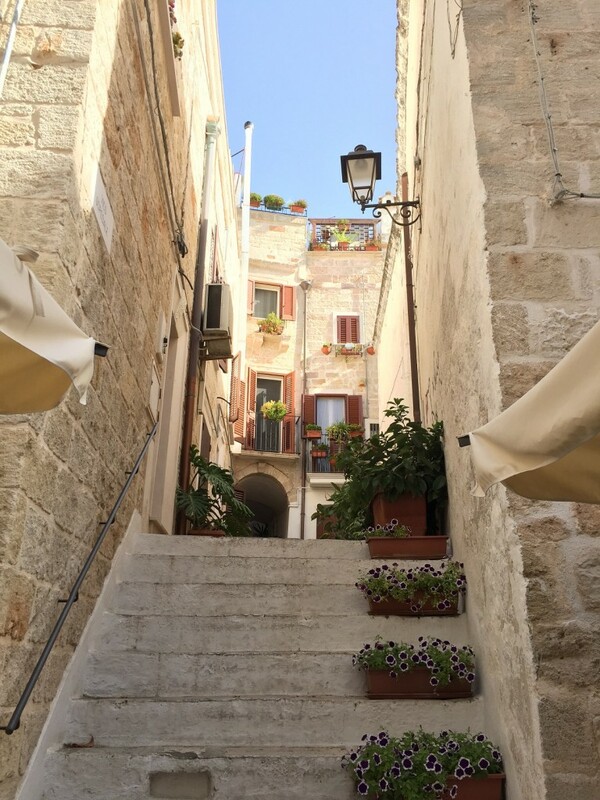 We based ourselves there and day tripped out to Alberobello (Tourist trap though as it rained heavily while there, we found the restaurant opposite the Trulli in the main drag was very nice and friendly) and Locorotondo and beyond. We were off Season being mid through late October so there were no Sagre or Festivals or crowds to worry about. Have been to some Sagre where the crowds are so intense as to be worrisome. But as they say in Italia, “e vale la pena”. 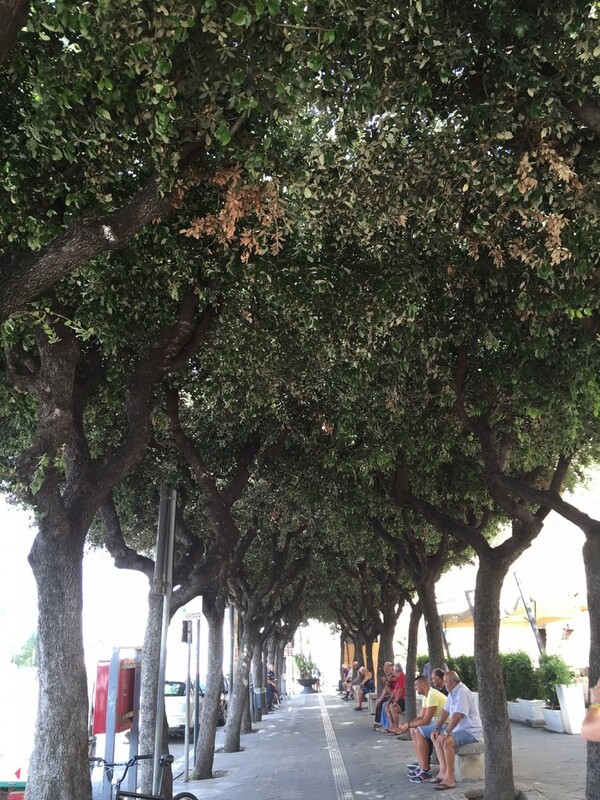 I really liked Martina Franca too – although we only went there on a daytrip. I usually try to base myself in seaside towns because I really love a dip in the sea early morning or after a long days sight-seeing. But that probably means that everyone else has the same idea! I had never actually experienced crowds like this in Italy before (and I really don’t like crowds!) but as I said they were very well behaved. Do you have another trip planned? Thanks Cristina! Yes I love the Gargano, we had a great time there -we stayed in Pescici and Monte SantÁngelo. I think it’s also because I don’t look Italian that they speak to me in English, even though I’m travelling with someone who is! I keep trying though!